Researchers used TALENs and zinc finger nucleases to correct disease-causing mutations. ABOVE: Mitochondria produce ATP, the energy currency of the cell. Researchers in the US and Europe have used two gene-editing approaches to correct mitochondrial mutations in live mice. The results, published yesterday (September 24) in two papers in Nature Medicine, suggest that the tools—transcription activator-like effector nucleases (TALENs) and zinc-finger nucleases (ZFNs)—may one day be capable of treating certain mitochondrial diseases in people. 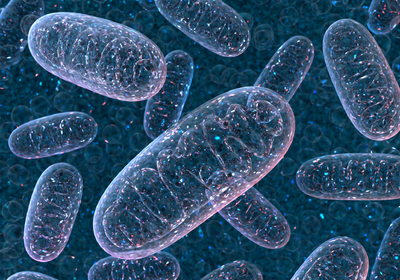 Disease-causing mutations in mitochondrial DNA (mtDNA) occur in approximately 1 in 5,000 adults and produce symptoms ranging from muscle weakness to heart disease. Although three-parent IVF—a controversial procedure that uses a third person’s mitochondria in addition to a mother’s egg nucleus and a father’s sperm—has been proposed as a way to avoid the inheritance of mtDNA mutations, there are currently no treatments for a person born with the defects. “It’s a largely unmet need,” Stephen Ekker, a molecular geneticist at the Mayo Clinic in Rochester, Minnesota, who was not involved in the work, tells Science. 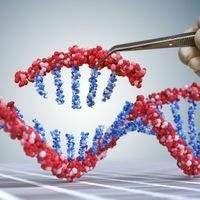 CRISPR gene-editing technology has made rapid headway in efforts to edit mutations found in nuclear DNA, but researchers have had difficulty applying the same technology to mtDNA because mitochondria seem not to take up the guide RNAs that allow the tool to home in on the right sequence. In the two latest studies, researchers instead used older gene-editing approaches that do not require guide RNAs. In one study, the University of Miami’s Carlos Moraes and colleagues injected adeno-associated viruses containing mitochondrial-targeted TALENs into the muscles of mice carrying an mtDNA mutation. After six months, levels of mutant mtDNA in the animals’ muscle tissue had dropped by more than 50 percent—below the levels typically associated with symptoms of mitochondrial disease. 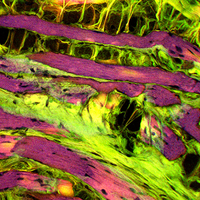 In the other study, led by a team at the University of Cambridge in the UK, researchers injected viruses containing mitochondrial-targeted ZFNs into the tail veins of the mice to be delivered systemically to the heart. Just over two months later, the levels of mutant mtDNA had dropped by around 40 percent in cardiac tissue, the team reports. “These are remarkable findings that make it possible to even consider doing this in humans,” Martin Picard, a mitochondrial biologist at the Columbia University Irving Medical Center who was not involved in the work, tells Science. Both teams are reportedly planning to launch clinical trials, Science reports.